Since 1886, Waterous has continually pushed the capabilities of fire suppression systems and equipment to improve firefighting efforts. 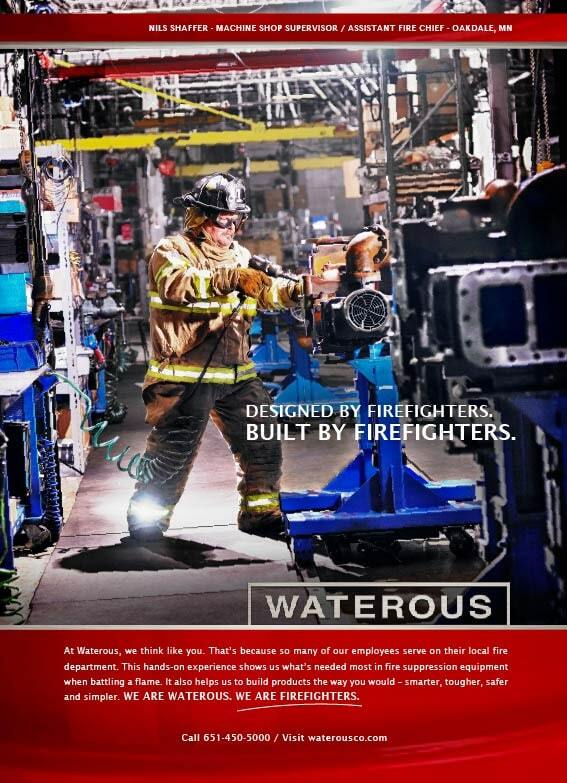 Waterous offers vehicle-mounted pumps for fire trucks, Compressed Air Foam Systems, Portable Pumps, and Aircraft Rescue and Firefighting pumps (ARFF). The pumps are sold primarily to fire truck manufacturers. Waterous is an independent subsidiary of American Cast Iron Pipe Company and is the production site for American Valve and Hydrant. The company was using an outdated configuration product that was end of life and no longer supported. Waterous needed to move to a more technically flexible solution that had the ability to solve its immediate need for a configurator while also providing a solid ERP platform that could be deployed quickly. Waterous initially only planned to replace the configurator but was also considering its long-term IT strategy during the selection process. Microsoft Dynamics AX offered strong product configuration capabilities through the Product Builder module, coupled with strong product management functionality with the Industrial Equipment Manufacturing solution. Since Microsoft Dynamics AX was a fully integrated and comprehensive ERP solution the company made plans to replace its entire solutions footprint with the Microsoft Dynamics AX capabilities for fully integrated financials and distribution.